People working in public relations often use a press release as an effective way to spread the word about a client, a business or an upcoming event. Press releases are typically aimed at journalists, attempting to get their attention about what you are promoting. Writing a press release using rules of the American Psychological Association's (APA) widely used style guide is important because it will make you look more professional and organized. 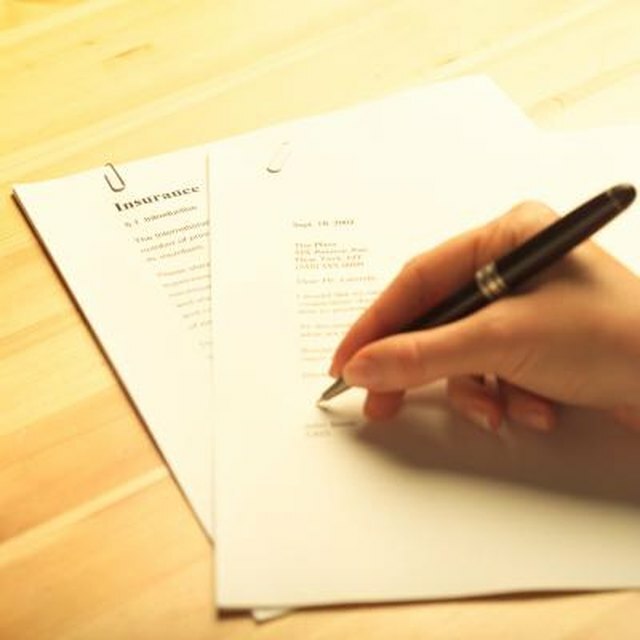 Follow the correct form when writing your press release to maximize its chances for success. Provide your contact information in the upper-left corner of the page. Give your name, telephone number, e-mail address and any other contact information that you would like to provide. Determine when this information should be released and provide the day in the upper-right corner of the page in all caps. Most press releases can be given out immediately. If that is the case you can print "FOR IMMEDIATE RELEASE." If there is a specific date this information needs to be withheld until, state the day it can be released to the public. Place the title of your press release below your contact information and release date. Like APA essays, press release headlines should be centered and in all caps. If there is a subtitle, place it on the line below the title in letter case. Letter case is the form in which most other titles, like books, are written, capitalizing only the first letter of important words. Write the body of the press release. The body should be left-justified and single spaced. Provide a empty space between paragraphs. Detail the who, what, where and when of the story. Be creative in how you present the material, but be sure to provide all the necessary information the public will want to know. Do not lose details by trying to be so clever your message is lost. End the body of your press release with three # signs centered beneath the body text. Conclude the press release by providing a couple sentences explaining who the reader should contact if they would like to receive more information. Include your phone number and e-mail address. Left-justify this information. Write press releases in third person. Do not used the words "I" or "us." Press releases are ideally one page in length. Only provide the most important and exciting information. Write press releases in third person. Do not used the words "I" or "us." Press releases are ideally one page in length. Only provide the most important and exciting information.